Who's not familiar with Jollibee? 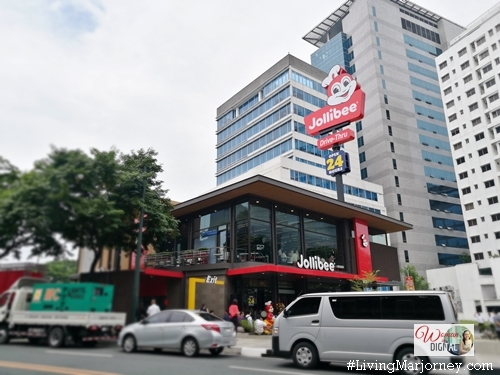 The well-loved Filipino fast-food celebrates an important milestone with the opening of Jollibee 1000th store along Triangle Drive in Bonifacio Global City. Earlier today, we witnessed the store blessing and unveiling of its 1000th store commemorative market. The special occasion was attended by valued business partners, government officials, and other special guests including Jollibee Foods Corporation (JFC) Chairman Tony Tan Caktiong, JFC Chief Executive Officer Ernesto Tanmantiong, JFC Philippines Country Head Joseph Tanbuntiong, and Chief Global Real Estate Officer William Tan Untiong unveiled the 1,000th store commemorative marker. 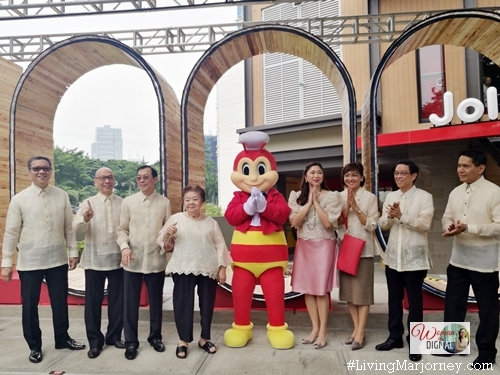 This was followed by the ribbon-cutting ceremony and official store blessing led by Jollibee Philippines President JJ Alano with Taguig City Mayor Lani Cayetano, Department of Trade and Industry Undersecretary Nora Terrado, Ms. Universe 2015 Pia Wurtzbach, and Jollibee BGC Triangle Drive Restaurant Manager Sharon Morendo. To further celebrate this milestone, JFC CEO Ernesto Tanmantiong led the Chicken Joy Toast. From traditional to “modern tropical” design concept that’s expected to appeal to customers of all ages. With two (2) spacious and beautifully-decorated party areas that give-off a hip and refreshing vibe with colorful sets of furniture. 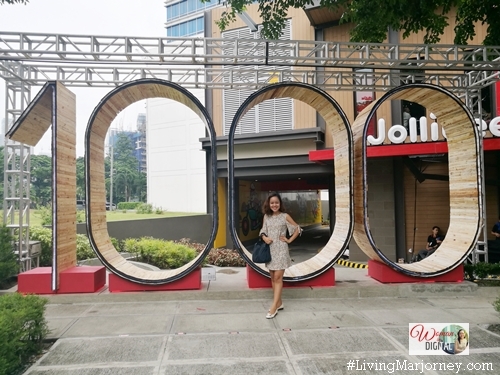 27-foot long drive-thru Jollibee Pinoy Art containing images of the Philippine Eagle, the carabao, and the sarimanok grabbing some Chickenjoy to bring home, while another artwork welcomes visitors to “a world of joy” at the parking entrance. Indeed, from the exterior down to the details, the 1,000th store is set to enhance the overall dining experience of customers. Dine at Jollibee Triangle Drive starting tomorrow, July 4. Who knows you might meet Ann Curtis at the counter. You might also win a limited edition travel mugs, designed by TeamManila Graphics Design Studio or a special Chickenjoy bucket-inspired tissue holder. Jollibee dolls will also be given to the first 1,000 customers for every purchase of a Chickenjoy bucket, while 10 lucky diners one for every 100th milestone store - will get a whopping one-year supply of Chickenjoy. 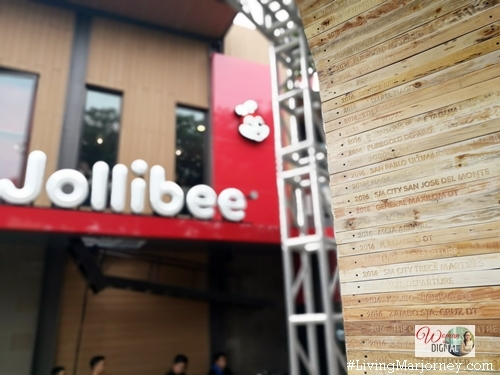 Jollibee customers can also enjoy the exciting line-up of promos and giveaways. From July 4 to 6, Grab riders heading to the 1,000th store can get a P100 off on Grab car or Grab share fares by using the promo code “JB1KSTORES”. Congratulations Jollibee. I'll be back soon at Jollibee 1000th store to grab my langhap-sarap Jollibee burgers and crispilicious, juicilicious Chicken Joy.